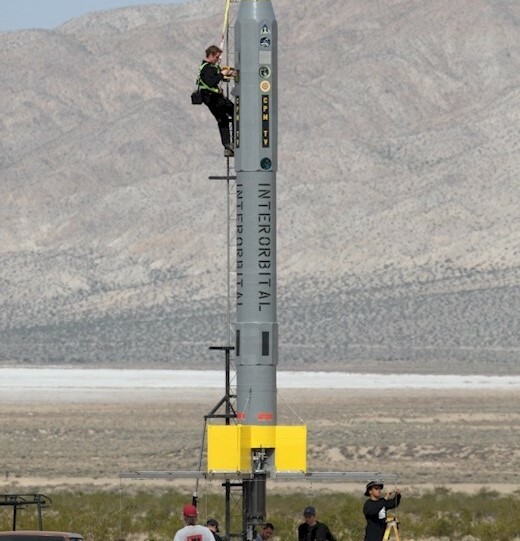 The launch of the Common Propulsion Module Test Vehicle (CPM TV) marked Interorbital Systems' first launch of the NEPTUNE series rockets earlier today. CPM TV successfully reached a height of 10,000 feet, approximately half its intended altitude, due to a center of pressure anomaly. All payloads were recovered after the flight intact, and the rocket sustained minimal damage. 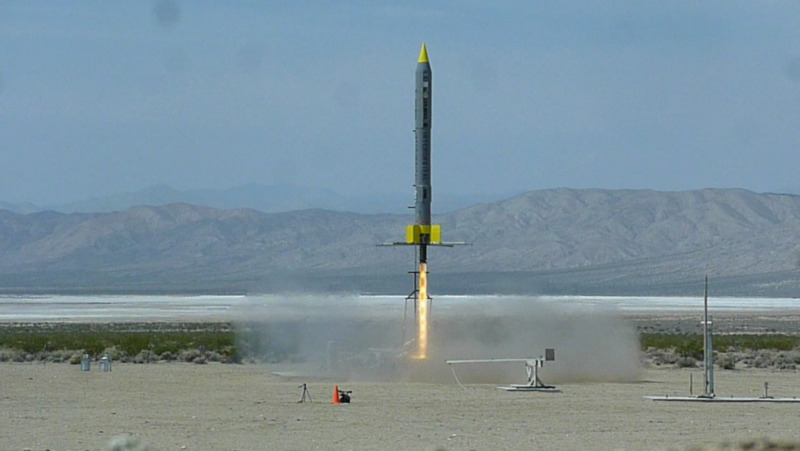 CPM TV, an unguided, fin-stabilized launch vehicle, verified IOS' design concepts for its NEPTUNE series rockets. Each NEPTUNE rocket will consist of one or more CPMs connected in parallel. The 7,500 lb thrust General Purpose Rocket Engine (GPRE), designed in-house by IOS engineers, propelled CPM TV to over Mach 1 within seconds of launch. 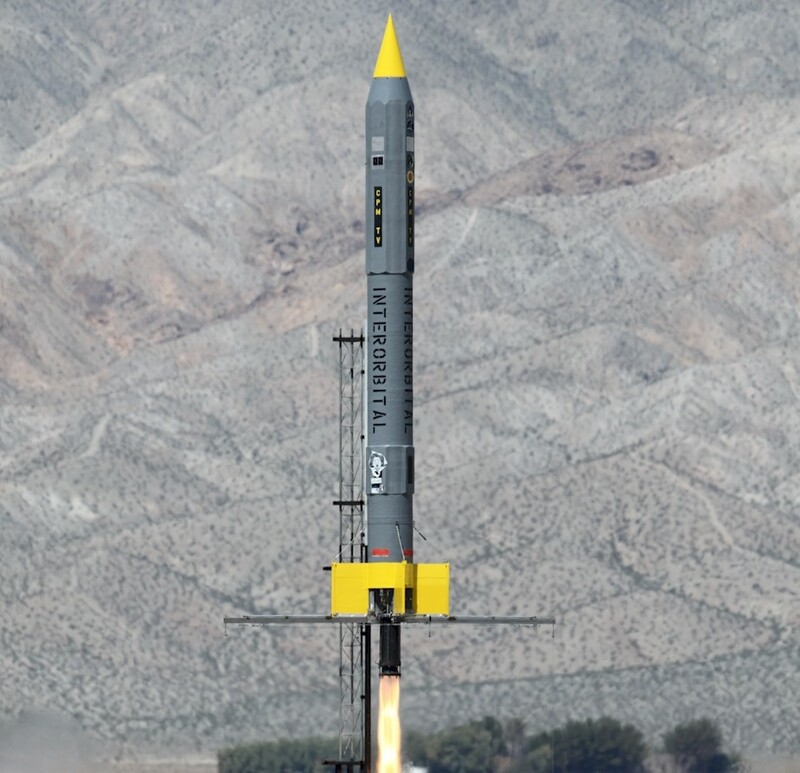 For stability at the beginning of the flight, before CPM TV's fins became effective, IOS engineers designed an innovative cable guidance system, which ensured the rocket maintained its heading during the critical initial instants after launch. 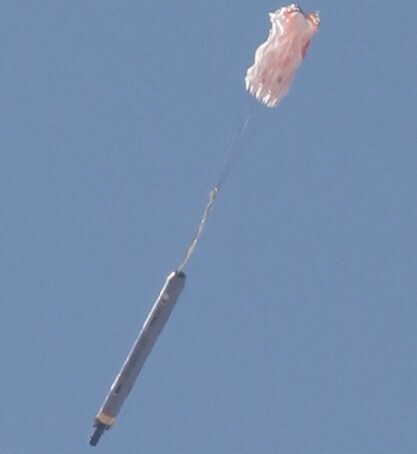 Cables attached to the bottom edge of the rocket fins via guide-arms corrected CPM TV's attitude until release at a designated altitude. 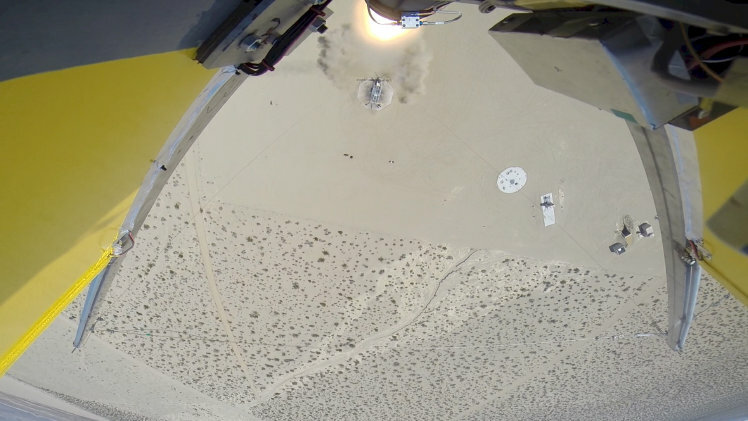 A camera mounted to the rocket captured the flight for analysis by IOS engineers, and IOS crew also captured tracking footage from the launch site.